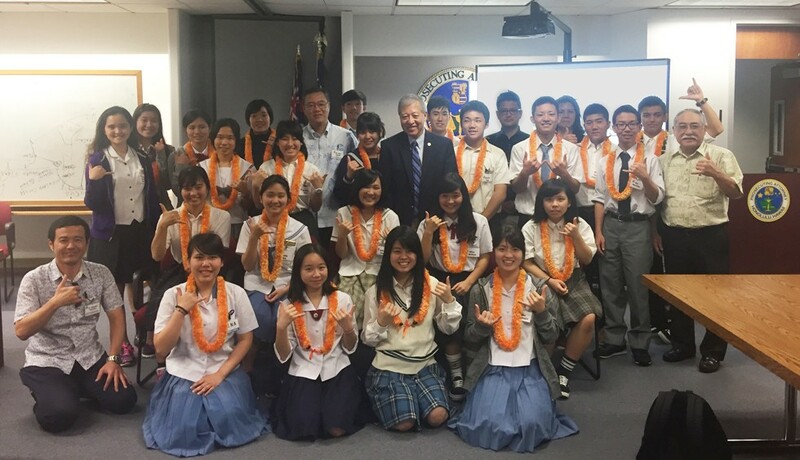 Honolulu City Prosecutor Keith Kaneshiro hosted 25 students from several high schools in Okinawa on Feb. 22, 2017. They were in Hawaii as part of the Hawaii-Okinawa High School Student Exchange Program. 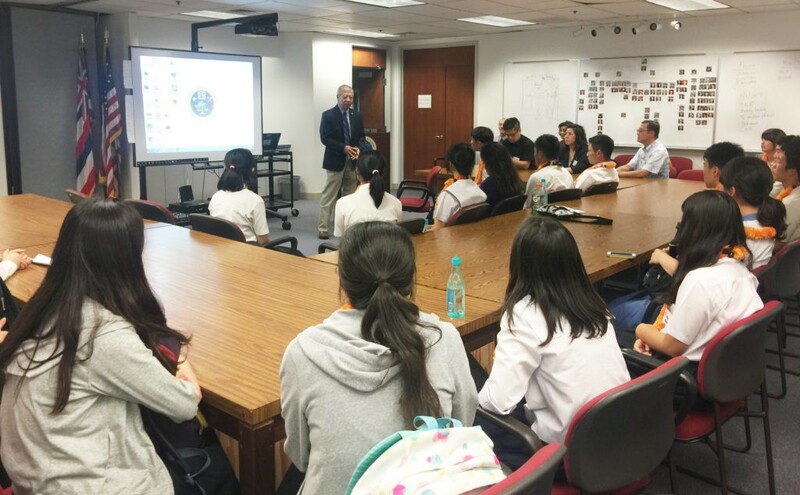 Kaneshiro explained to the students the process of investigating and prosecuting a reported crime, particularly when the victims are visitors to Honolulu. He also held a brief question-and-answer session. Visiting with the students were Etsuo Arakaki and Megumu Ishimine of the Board of Education, Okinawan Prefectural Government. Also traveling with the group was Daisuke Ameki, an English teacher at Kaiho High School and Takako Maruyama and English teacher at Chinen High School. Jane Serikaku, Executive Director of the Hawaii United Okinawa Association, coordinated the event with officials from the prosecutor’s office. The Hawaii-Okinawa High School Student Exchange Program started in 1990. It was established by the Legislature which partnered with the state Department of Education and the Hawaii United Okinawa Association. The program’s goals include providing students an opportunity to learn about diverse cultures of other countries, fostering and sustaining good relationships between foreign countries and Hawaii and fostering a sense of “internationalism” in today’s youth. Students stay with a host student and his or her family for about two weeks. They attend school, participate in high school events and visit cultural and historical sites. Hawaii students will be going to Okinawa in June.